Short interest in the big six Canadian banks has risen over the past two months, but the increase is primarily in the United States. The re-emergence of the “Great White Short” thesis has recently put downward pressure on bank valuations. “Remember that short-sellers profit from price declines by selling borrowed securities and repurchasing them at cheaper levels. Canadian bank stocks usually outperform the overall Toronto Stock Exchange but they have had a really bad start for 2015. Investors are worried about potential loan losses from the oil patch plus a possible downturn in the Canadian housing market. Part of the downturn in bank shares in 2015 was also due to the Bank of Canada’s unexpected Jan. 21 decision to cut its overnight lending rate. Lower rates reduce profit margins on bank loans and lines of credit. Keep in mind that bets against Canadian banks haven’t worked in the past. U.S. investors in 2013 also shorted Canadian banks amid concerns that the country’s housing market may collapse. 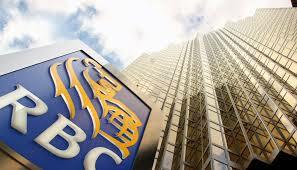 Three out of six Canadian banks have large U.S. investments which should off-set slower Canadian loan growth. 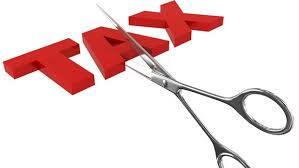 The dividend tax credit gives Canadians an after tax return equal to interest income of 5.5%! My favourite is TD Bank which I sold back in November. It is currently on my watch list. TD has more branches in the U.S. than in Canada, plus they own discount broker Ameritrade. A rise in U.S. interest rates, later in 2015, will improve the profit margins on TD’s loan business. 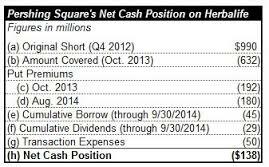 I am going to monitor the short interest and wait for their next quarter earnings report before I jump back in. If I am right, hedge funds could bid up TD’s stock price even higher when they cover their short positions! For my Canadian readers, Monday March 2nd is the deadline for your RRSP contribution for filing your 2014 tax return. Yellen’s remarks before the committee on Tuesday were generally perceived as dovish on interest rates, which helped push the Dow Jones Industrial Average and S&P 500 to new records, and the Nasdaq Composite to its third-highest close ever. She seems to be extraordinarily cautious. She talked about lagging indicators and that she’s not going to make a decision based on a short-term period of data. Janet Yellen‘s prepared statement also said U.S. labor markets have room for improvement, and low oil prices will be a significant benefit to the economy. 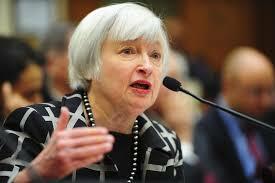 The Fed also would like to be confident that inflation will rise to 2 percent before it raises rates. The markets are not worried about one rate increase but how fast will the Fed bring rates back to normal levels. An accelerated raise in rates could cause the U.S. economy to fall into another recession. “Yellen has left herself an “enormous amount of flexibility,” Art Cashin, director of floor operations for UBS at the New York Stock Exchange, told “Squawk on the Street.” Cashin said he thinks there is a 50-50 chance that the Fed will raise rates this year. The Federal Reserve has a duel mandate, controlling inflation and full employment. My gut tells me that the higher value of the U.S. dollar, lower gasoline prices and lack of wage growth will keep inflation below the 2% level. The employment numbers hide the fact that many Americans have stop looking for work and are no longer counted in the figures. Plus many Americans are underemployed, they are forced to take lower paying jobs just to make ends meet. I still don’t like bonds even in my retirement accounts. Bonds offer very little protection against inflation and the after tax return is negative when I take the money out of my retirement account. I believe that the bull market in bonds is over and I would rather buy good quality dividend paying stocks. Keep in mind that higher interest rates will have a negative affect on both these stocks and the bond ETF. What do you think, is the bull market in bonds over? Testimony by Chair Janet Yellen before the Senate Banking, Housing and Urban Affairs Committee is going to be closely watched this week. The two-day question and answer sessions may shed some light on future interest rate hikes. Fed watchers are split 50 / 50 on a possible quarter point rise in rates coming in June. Why should Investors get nervous? Long duration bonds will decrease the most in price in a raising rate environment. 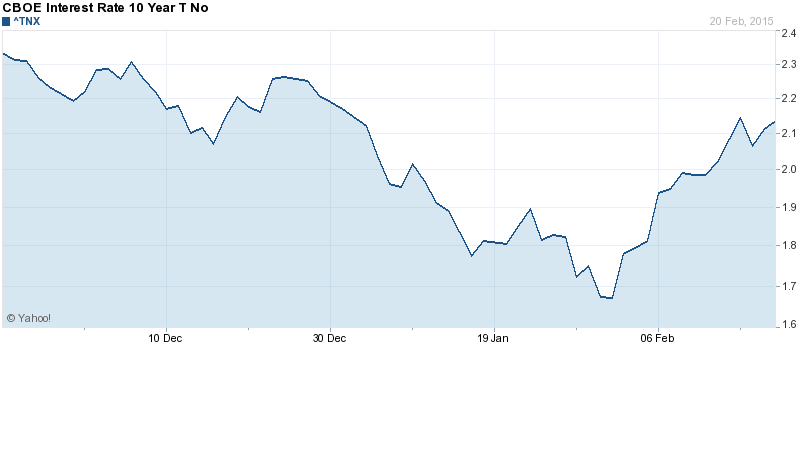 For example; The U.S. ten-year bond yield has already moved from 1.66% to 2.13%! There is $9 trillion of debt owed in U.S. dollars by non-bank borrowers outside the United States. Higher borrowing costs for companies and governments, along with a stronger greenback, may add risks to an already-weak global recovery. A stronger greenback means a company or government needs even more local currency to repay debt if it lacks revenues in U.S. dollars. Mortgage rates would go up which is a drag on the housing market and will affect the stock prices of home builders and their suppliers. From 2004 to 2006, the Fed raised its benchmark interest rate from 1% to 5.25%. During that stretch corporate bond yields in the U.S. surged from a than all-time low of 4.9% to as high as 6.9% in June 2006! The S&P 500 was up 10.9% in 2004, 4.9% in 2005 and 15.9% in 2006 so raising rates are not necessarily bad for stock market returns. The U.S. housing market hasn’t rebound enough to withstand higher mortgage rates. Housing is a big component of economic growth when you add in all the industries that rely on new housing construction. (lumber, appliances, furniture…etc). The U.S. dollar would increase in value even more which would reduce earnings of U.S. multi-national corporations and in turn would affect both job & wage growth. If I had to guess, a small rate hike wouldn’t happen until sometime in the fall of 2015 however I do have some cash on the sidelines. The stock market could experience a 5% to 10% correction if the Fed signals this week that they will raise rates in June. Hang on to your hats, the roller-coaster ride isn’t over yet! I found this article somewhat shocking and that it was worth sharing. Mr. Buffett usually holds on to a stock for the long-term. His purchase of Exxon Mobil Corp. was in the fall of 2013 and he sold it all by Dec 2014 which adds up to a one year hold. Should small investors follow his lead? At first glance, Suncor’s share price is much more volatile than Exxon and seems to be correlated to the price of oil. Plus it has a big investment in the Canadian oil sands and many Americans have a negative perception towards oil sands production as dirty oil. U.S. economic growth has averaged 2.3% a year since the recovery started in mid-2009. That’s about half the rate you might expect in a rebound from the deepest recession since the 1930s. Plus growth in China is slowing, growth is minimal in the euro zone and is negative in Japan. It’s clear that global oil demand is weak and might even decline. Russia and Venezuela find themselves in a conundrum. They desperately need the revenue from oil exports to service foreign debts and fund imports. Yet, the lower the price, the more oil they need to produce and export to earn the same number of dollars. Saudis have seen their past cutbacks result in market-share losses because other OPEC members end up cheating on their quotas. However, OPEC’s current refusal to cut production is due to the booming US shale oil which has been a major contributor to their market-share losses. Investors are too excited about the rig count decline and are misinterpreting what it actually means. Producers are getting rid of the least-productive rigs, and the best performing ones will probably keep working for a while. Energy companies have been reducing their capex spending but the cut backs are in areas that have expensive exploration costs. Spot prices are currently lower than futures prices, any oil price rally will prompt producers to hedge (i.e., sell in the futures market). This will delay any potential cuts to US production. Oil storage is still increasing and is weeks away from being full. This oil is going to hit the market later this year and could depress the future price of oil. 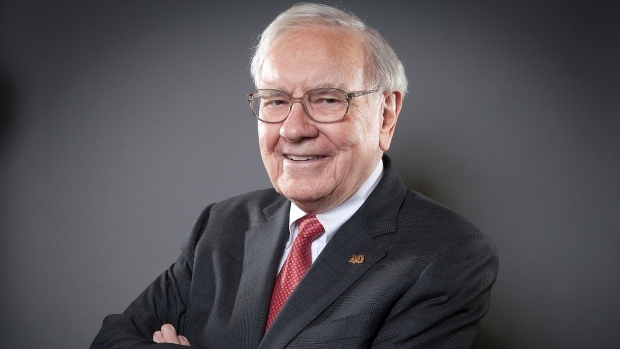 Are you ready to follow Mr. Buffett into the oil patch? You could just buy Berkshire Hathaway (BRK.B). Be aware that due to the holiday on Monday, oil inventory numbers will come out on Thursday Feb 19th at 10:30 eastern standard time. Experts are predicting a build up of 3 million barrels. The API Oil inventory build up came in at 14.3 million barrels! Most weekdays I eat my lunch in front of the T.V. watching CNBC “Fast Money Halftime Report”. This past week hedge fund manager Carl Icahn’s comments regarding his investment in “Apple” was discussed by the panel of trading experts. I like to get both the bull and bear side of a possible investment. The halftime report also keeps track of the trader’s opinions. They are not afraid to put a spot light on both the winner and the loser. This article regarding Carl Icahn’s comments was posted on the CNBC web site which I found worth sharing. 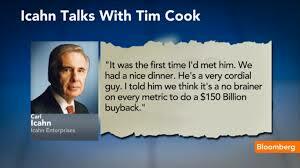 Investor Carl Icahn said the market is undervaluing Apple and again urged the company to buy back more of its stock. It’s been a huge week for Apple’s financials, as the company became the first in history to break $700 billion in market capitalization. But billionaire investor Carl Icahn says there’s a more realistic valuation that should bump up Apple’s stock price to value the company at $1.3 trillion. As of this writing, Apple stock hovers around $125, the highest watermark in a trend of dramatic increase since its stock sold for under a dollar in April 2003. But in a letter to his Twitter followers, Icahn said a more realistic valuation would be 20 times Apple’s earnings per share metric (instead of its current valuation of 10 times), and including Apple’s $178 billion in cash reserves, Apple’s stock price should be $216 per share. Ergo, Apple would be valued at $1.3 trillion. Icahn’s letter also proposes a model of an earnings per share growth of 20% per year—or 31%, if Apple introduces a rumored TV. Icahn again pushed Apple CEO Tim Cook to take advantage of this market undervaluation and have the company buy back shares of its stock. Icahn pushed Cook to increase Apple’s stock buyback program back in August 2013 when Apple stock was trading at just over $66, and again in October 2014 when Apple stock hit $100. To be fair, Icahn isn’t Apple agnostic—his company is one of Apple’s 10 biggest shareholders, holding $6.5 billion in company stock. The biggest danger in buying Apple shares is what happens to the stock price if Mr. Icahn decides that he is going to take profits and run? On the other hand, can hitching your investing wagon to a hedge fund manager’s wagon train be profitable? Check out Icahn Enterprises L.P. which contains all his holdings and trades on NASDAQ ticker IEP. Current dividend yield is close to 6% but it has underperformed the S&P 500 over the past 12 months. Looking at the 5 year chart below, Carl Icahn has had some bad years and some good years. 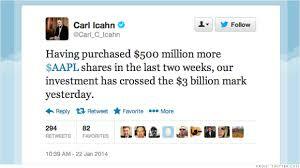 I am not a big fan of Carl Icahn nor do I think that buying back shares is the best use of company cash. I would prefer Apple to increase its dividend. However, I have been trading Apple shares in my investment club account using option strategies to protect my members from the price volatility. I recently bought a small position in Apple shares personally. Why, do I believe that Apple could be a good long term investment? Rig counts are down again this past week and oil futures were up again on Friday. Ask yourself, was the news on rig counts or short covering due to the U.S. long weekend that affect the oil price? Wednesday’s inventory numbers are still surprising the experts. They predicted a build-up of 3.75 million barrels of crude and the actual build-up was 4.87 million barrels. The big shocker was the big build-up of diesel fuel which came in at 1.98 million barrels and the experts had predicted only 200,000! 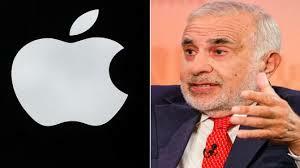 Would you buy Apple stock based on Carl Icahn valuation? Disclaimer: This post is for discussion purposes only! I REALLY HATE over paying INCOME TAXES! For years I refused to spend money to help the government collect My Tax Dollars. 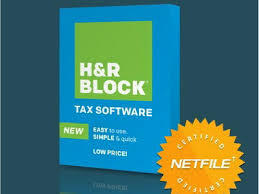 In principal, the tax preparation software should be tax-deductible. 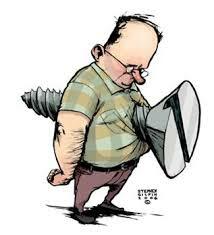 (NOT in CANADA) I finally realized, trying to punish the government with having to sort through my mounds of paperwork was like “Cutting My Nose off to Spite My Face.” I was punishing myself more by spending hours and hours filing out tax schedules and forms. Imagine that I used to file seven paper returns for my immediate family plus help my friends with their returns. That is a lot of paperwork. 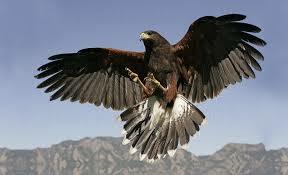 Accountants and tax preparers can charge exorbitant fees. Most people find filing their own tax returns very intimidating! The information that you need is on the CRA or IRA web sites, plus tax preparation software is almost idiot proof. 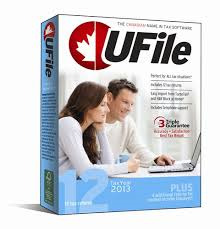 Most software have a step by step instruction option that is really simple. All you have to do is answer questions and put a check mark in the box on all sources of income and tax-deductible items that apply to you. The step by step method also allows for filing joint returns. Gives you the option to file on-line or print a paper return for mailing. Just remember that even if you use a professional to file your business or personal return, you are still responsible for any filing mistakes. You are liable for all penalties and taxes owed. Would you be surprised to learn that I fired my first accountant? 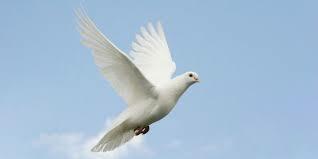 He used to comply my business income statements and file my corporate income tax return. He failed to advise me on some tax saving strategies for my company and for me personally. The next two accountants that I used were bombarded with tax saving questions almost every time we got together. Over time, the list of questions got smaller but my tax savings got larger! If you don’t ask, accountants tend not to tell! 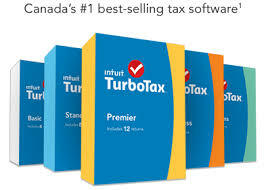 Disclaimer: Please do your own research on tax preparation software. 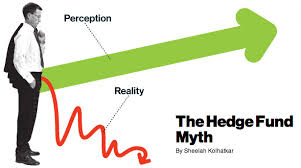 Hedge funds are similar to mutual funds in that investments are pooled and professionally managed, but differ in that the fund has far more flexibility in its investment strategies. Fund managers use advanced investment strategies such as leveraged, long, short and derivative positions in both domestic and international markets with the goal of generating high returns. 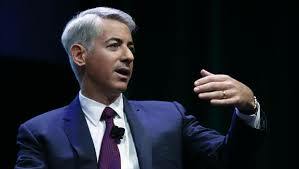 For the most part, hedge funds are unregulated because they cater to sophisticated investors. The majority of investors in the fund must be accredited. That is, they must earn a minimum amount of money annually and have a net worth of more than $1 million, along with a significant amount of investment knowledge. They are open to a limited number of investors and require a very large initial minimum investment. Investments in hedge funds are illiquid as they often require investors keep their money in the fund for at least one year. Fund managers have a ridiculously high fee structure for taking big risks. A typical hedge fund has a two and twenty compensation package for performance. A flat 2% fee on total assets under management plus 20% on any profits earned by the fund. (Can you imagine getting a $200,000 bonus for increasing the value of a portfolio by million dollars)? Can you imagine making nearly a billion dollar bet that a stock is over valued? The battle between just two hedge fund managers can have catastrophic effects on your investments. The chart below illustrates a two-year battle on just one stock. There is no doubt in my mind that hedge funds are betting heavy in the oil sector. The opportunity to make huge profits resulting in big bonuses is far too tempting to play it safe. 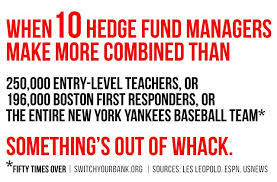 Would you be surprised to know that many pension plans invest some money in hedge funds!